Home » Get Involved ! Petrotex Society was established in Houston, Texas in 2005 and now it has grown to run its representative offices in Netherlands, Jordan, China, and Mexico. The publications of the institute includes journals focusing on energy, environment, chemical technologies and chemical engineering. 1. 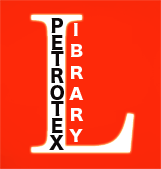 Please complete Form one to join Petrotex Society. 2. The Second Form shows your final membership level and benefits that Petrotex Society will prepare for you during one year subscription. Please send us the second form to info@petrotex.us to complete all required steps of your case and finalize the process of Petrotex Society membership.